After a year of constant hype, chatbots had a difficult 2017 with many brands failing to make the most of the technology. Whilst we saw some excellent examples of companies getting it right, others struggled to hit the mark. We’ve published a number of blogs and guides about chatbots and in this extended guide we bring it all together for you in one place. We’ll be answering the following questions:. – What is a chatbot? – What are the benefits of chatbots? – What are they used for? – Why should I care about them? – How do they work? – What platforms do they run on? – How much do chatbots cost? – Why do some chatbots fail? We’ll also be looking at a number of best practices to help you make sure your bot is one of the success stories that show the best of this technology. A chatbot is a computer program that simulates conversation. Users type their message or select from a list of options and the bot responds accordingly. This technology has been evolving since the 1950s, but modern chatbots are designed to look and feel like mobile messaging apps (WhatsApp, Messenger, etc.). In fact, a growing number of the major messaging apps are integrating chatbot technology into their platforms – most notably Facebook and Line. We’re at a point where brands can make themselves a part of their target audience’s everyday conversations. What are the chatbot benefits? For the first time ever people are using messenger apps more than they are using social networks. Chatbots allow businesses to engage with customers in a medium that’s ubiquitous, familiar, and comfortable for everyone to use. In a world focused on convenience and ease, chatbots offer a welcome efficiency and productivity tool for customers, users and the business alike in a capacity that is “always on”. Connect with users and customers in a highly-engaged environment without the need for them to download an app. Gain access to increased amounts of customer data, enabling more effective targeting and personalisation. Make the path to conversion shorter and more relevant to your audience. Chatbots enable the user to shorten the journey to the information they require. Chatbots facilitate the ability to integrate multiple systems into one easy-to-use interface. Chatbots are being used for all kinds of things – from GPs and lawyers to personalised shopping assistants. Sometimes all they do is provide information to user questions, like a sort of interactive FAQ. At the other end of the scale, they’re providing entire shopping experiences inside a single application. In some cases, users can browse products, get personalised recommendations and pay for items without ever leaving the app. A recent study from Business Insider said 80% of businesses want chatbots by 2020. That pretty much says it all about the excitement chatbots have generated, and here’s why you should care about them too. There’s a reason Facebook bought WhatsApp in 2014, despite already having one of the most popular messaging apps under its name. People spend more time in messaging apps than they do on social media now, which means marketers need to follow suit. You must establish yourself on the platforms consumers use most and chatbots allow you to reach them inside their favourite messaging apps. 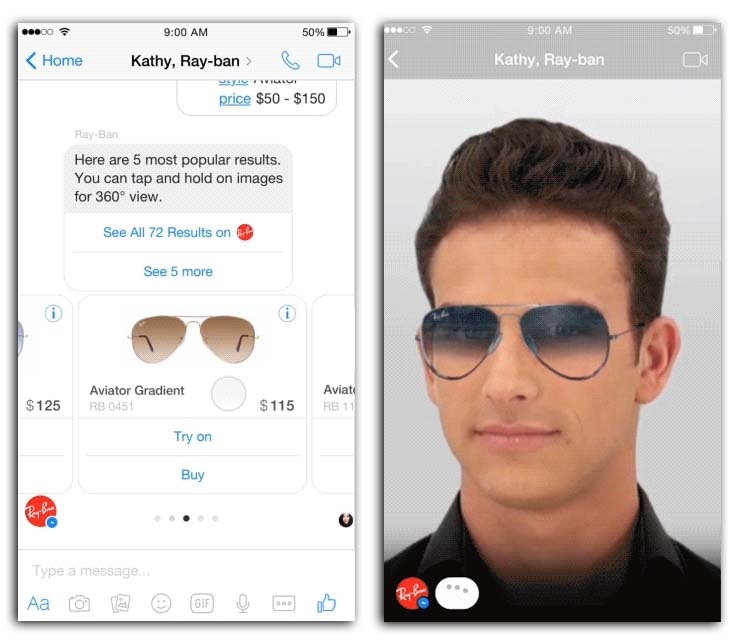 Chatbots are removing all kinds of barriers between consumers and buying products online. We’ve been struggling with contact forms, payment processing and other conversion killers for years. Chatbots provide an alternative approach to these challenges that utilizes people’s favorite apps. In some cases, chatbots are taking websites out of the equation altogether, providing the full shopping experience inside a single conversation. Targeting via AdWords and Facebook advertising has come a long way over the past few years but we still lack that one-on-one connection with consumers. Chatbots provide the first real platform that taps into individual user data in a way that’s affordable to businesses of all sizes. This marks a real turning point in the way we build data profiles and create personalized shopping experiences. Until now, this has only been possible for the biggest brands with huge marketing budgets, but this is no longer the case. When people have a question or issue, they don’t want to wait until office hours to get a response. With chatbots there is no wait: your bot’s on call 24/7 and is able to answer instantly. Better yet, it can handle multiple interactions at the same time, so there’s no waiting in queues. Your first line of customer care can now be automated, always on call and more cost-effective than ever. 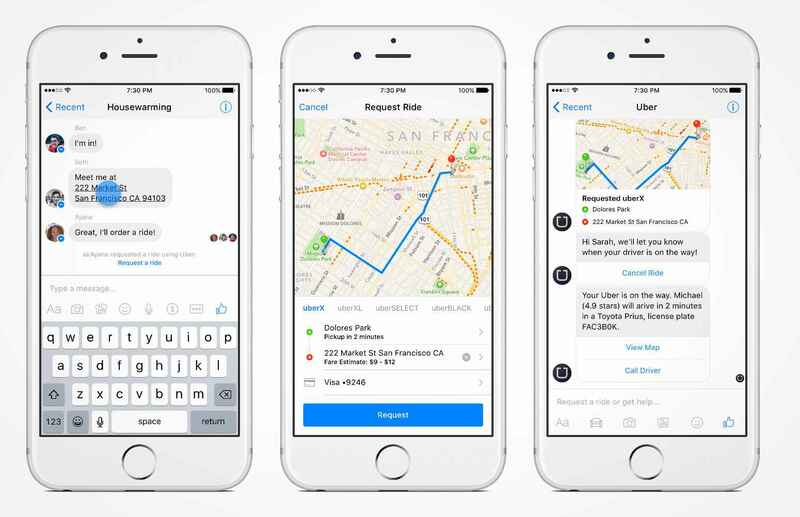 Uber shows us how chatbots can perform one simple task and integrate into our everyday conversations. The simplicity is what makes this bot so incredible and a perfect example of how your focus should be on getting the task done in the easiest way possible. 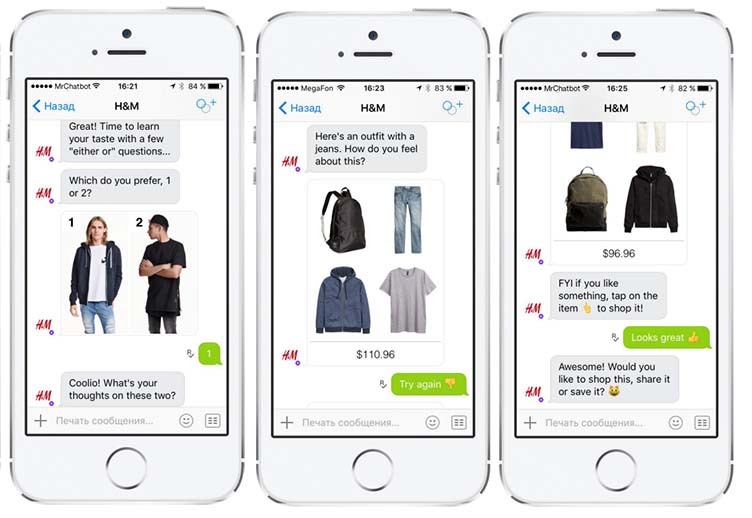 H&M’s chatbot is one of the highest-rated on Kik and it proves how engaging linear bots can be with the right concept and design process. Here, users are given clothing recommendations based on some basic information and style choices they’re asked about. KLM’s chatbot provides a customer service channel after customers have bought their airline ticket. Travellers receive booking confirmations, boarding passes and live updates on their flight status in the event of any changes. 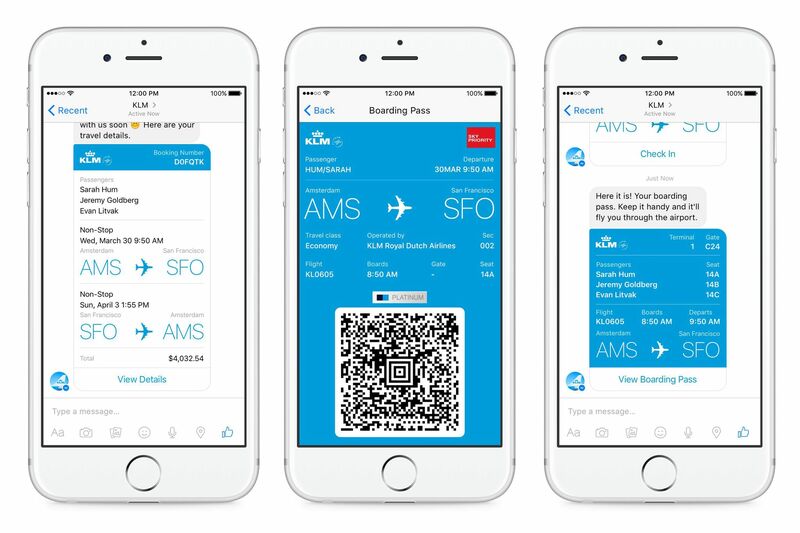 Users can also reach out to KLM via the Messenger bot for their general customer service needs 24/7 – e.g. changing their seat number. 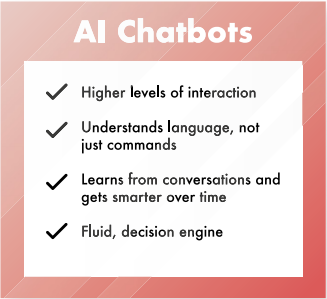 There are 2 types of chatbots: One is linear and rule-based where the conversation is fully controlled by you, the other uses artificial intelligence (AI) and machine learning and is capable of having more open conversations. 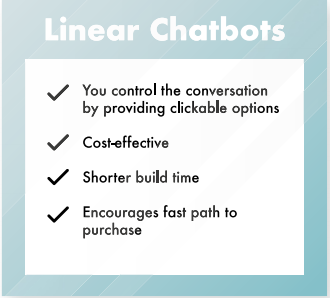 Linear chatbots are scripted conversations that provide users with a series of clickable options. 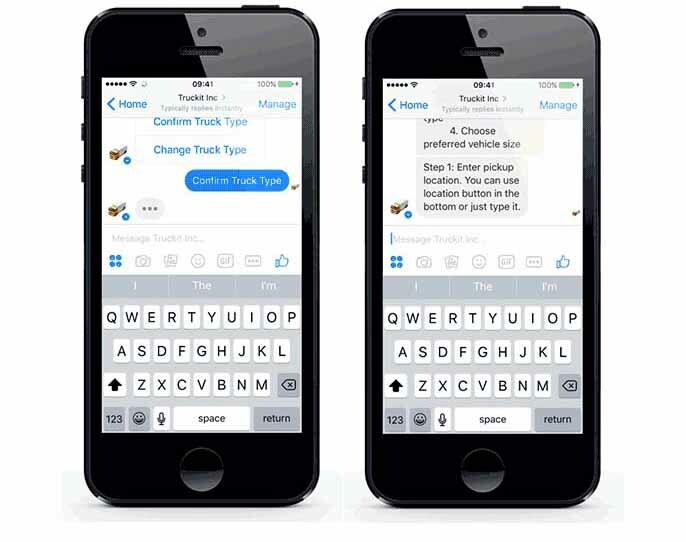 This allows you to control the conversation and steer users in the direction you want. They’re also much cheaper and easier to build than more complex systems. The downside is they’re less interactive and engaging for users. They are also unable to ‘learn’ from the conversations they have. The other option is AI chatbots. They’re pricier, harder to build and more prone to glitches. So you might ask why bother? Well, AI bots can understand language, allowing users to type custom messages rather than simply select a fixed number of options. So, in theory, users can ask an AI bot whatever they like (think Siri or Google Now) and get an answer. Better yet, they use smart learning to learn more about users from every conversation and create a more personalized experience as time goes by. What platforms do they run on? Chatbots are omnichannel, meaning a single bot can integrate with just about any platform. You can put one on your website, embed it into your marketing emails and any other online application to which you have access. That’s only half the story though. A growing list of third-party tech firms are launching their own chatbot builders that anyone can run on their messaging apps and connect with their users. Facebook is the biggest name involved, allowing you to build a bot which users can access from your Facebook page and even your website (with some hacking). Some of the other key names in bot building are Kik, Pandorabots, Robot.me, Chatfuel (for Facebook) and far too many other firms to mention here. How much do chatbots cost? This depends on how you choose to build your bot. If you get a company to build a chatbot from scratch, it will be more expensive and there’ll be a monthly maintenance fee on top of that. If you build your own bot with an in-house team of developers, then the cost comes down to your own resources, of course. There are also several ‘self-service’ chatbot builders that charge a monthly fee but you’ll still need some expert chatbot designers on board, as we mentioned in the previous section. You’ll also get much less freedom with the self-service builders so it’s worth knowing what you need before weighing up the costs. Why do some chatbots fail? If your bot doesn’t improve on the existing experience by solving current problems, there’s no reason for people to use it. Nobody cares how smart of witty your bot can be; they just want to get things done. Sooner or later your bot is going to get stuck with a user request and not having the right backup options in place results in another failed session. As we’ve said before, conversational UIs mean nothing without personalisation – and this counts for chatbots, too. Creating a bot or adopting any marketing strategy simply because it’s the latest trend is always a bad idea. 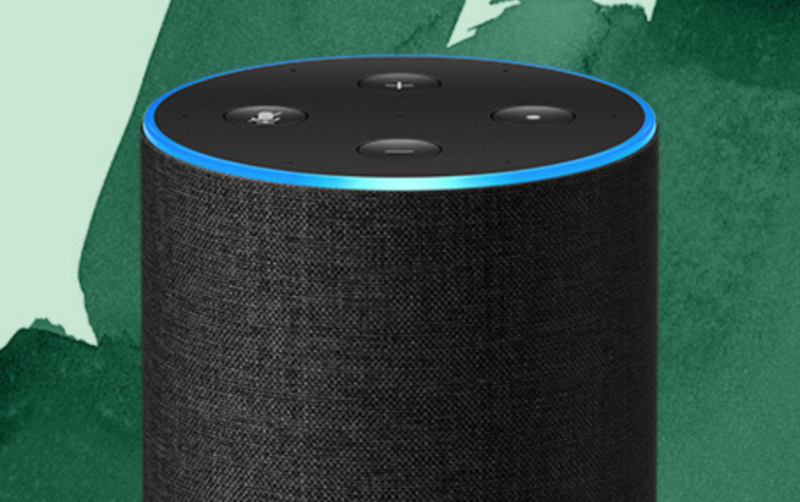 For an idea of what you should be aiming for with chatbot design, you just need to look at the likes of Amazon’s Alexa and Google Assistant. 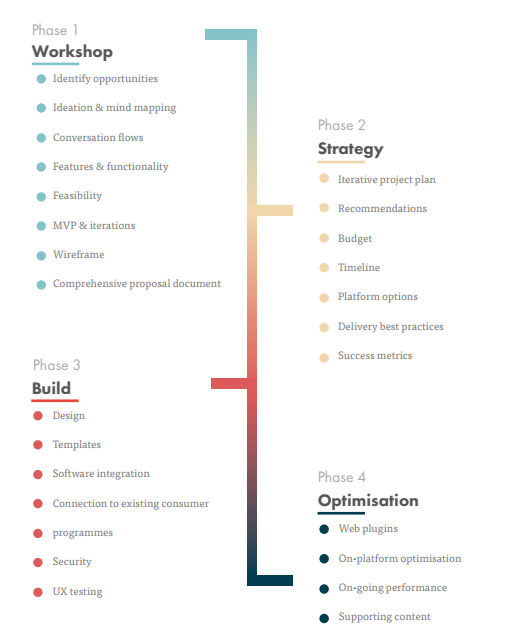 They provide highly personalised experiences that make basic tasks easier and faster to complete – something they achieve by making full use of a “walled garden” infrastructure that keeps users locked into a single experience. The key to a platform like Google Assistant is that users never really need to use another app for most of the functions they use their phones for. By integrating with the software and hardware in people’s smartphones, Google is able to make countless tasks easier for its users – not only improving the experience but giving them little reason to venture outside of it. 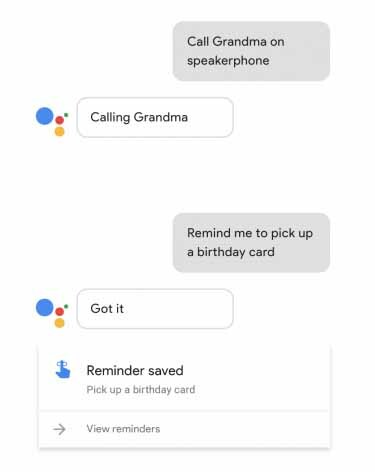 With Google Assistant, you don’t need to click on the phone app and search for grandma in your contacts lists to give her a call. Just ask GA to call her for you, remind you to pick up her birthday card on the way home and schedule that meeting you’ve got with a new client on Monday. Every task you make easier for users is one less reason they have to complete it somewhere else. Now, let’s imagine the same scenario for an eCommerce brand building its own chatbot. Tasks you can make easier include navigating product pages, refining searches, completing payments, placing repeat orders and checking up on delivery statuses. 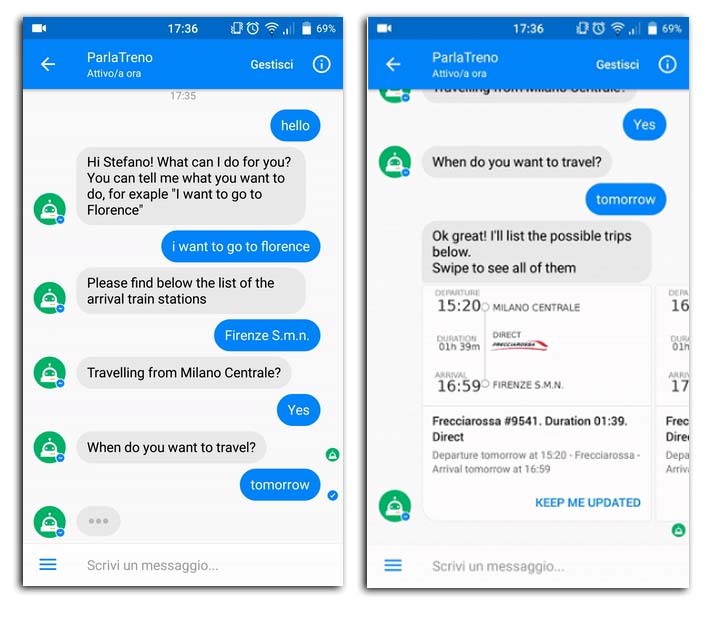 These are small interactions but they add up to a chatbot experience that keeps users coming back and makes them less likely to go elsewhere for their consumer needs. Integration is also integral to creating this kind of walled garden experience. For example, all you need to do is say “Alexa, ask Lyft for a ride” and Amazon’s voice UI will help you book a ride by integrating with the app. It does this by using APIs and this is the same technology that allows it to reorder your favourite shower gel or check out the weather report in London for next week. Going back to our eCommerce example, this is where you’ll want to use APIs to allow payments via PayPal, choose delivery options or handle any other functions that take place outside of your bot without users actually having to leave the experience. This is pivotal to creating the walled garden experience that makes chatbots valuable and keeps people using them. As with any kind of application there are a few best practices you should keep in mind when building your bot – especially if you are doing things in-house. The worst thing you can do with a chatbot is build one for the sake of it. With all the hype around them it’s easy to jump on board, but something else entirely to make a chatbot people want to use. For that to happen, it’s got to be useful. It needs to make shopping easier or faster, provide an extra line of customer service or offer vital information on the fly. Whatever it is, make sure your bot improves the overall experience of interacting with your brand. Whether you take the linear or AI chatbot approach, it’s vital you’re able to control the conversion – otherwise your bot will fall to pieces. For linear bots, this is arguably much easier. You provide a set list of options for users to choose from and stick to asking single-answer questions. The key is to map out the journey you want users to take, provide the right options and build the best path to completing each action. For AI bots, things are a little more challenging as you’re creating a more natural ground for conversation. Users get to enjoy more freedom but you should take the lead whenever possible. You need to steer the conversation in a direction you can work with so make sure you’re always asking the right questions and giving the right prompts. Linear bots pretty much rely on these to function, but they provide an important UX role for AI bots as well. Most notably, they tell the users what your bot is capable of and which options are available. You also save mobile users the pain of having to type out their answers or plucking up the courage to use voice recognition. Never leave the conversation open ended because users will instantly question what they’re supposed to do next. Every interaction should end with you asking another question or providing a next step for users. They’re not obliged to take that next step but if you don’t provide it you will risk breaking the experience. Even when the conversation ends or a task is completed, give users the option of starting over or other tasks you think might be of use. It’s common for AI bots to get confused at times. Don’t try and hide the fact or be too clever – just admit your bot is lost and get the conversation back on track. Have a backup message that quickly apologises and provides users with a few options of what to do next. Ask them to reword their answer and perhaps give some examples of answers they can provide. It’s also a good idea to give them the choice to restart the conversation or go back to a previous point before the error. The key to any chatbot project is to pinpoint which user problems you’re going to resolve and how you’re going to make tasks easier to complete. From here you can pinpoint which APIs and integrations are necessary to implement the functionality you need before mapping out your conversations. Don’t assume AI bots are necessarily better than linear bots and always keep your main objectives in mind. Are you trying to create a bot that impresses people with its conversation skills or are you more interested in boosting conversion rates, increasing sales and improving customer retention? The best chatbots are showing what this technology is capable of but the majority are still falling short of expectations – make sure you’re one of the exceptions. Broadly speaking, there are two ways to go about building a chatbot. You can either build your own custom bot from scratch or go through a third-party provider like Facebook or Kik. The first option is considerably more expensive but gives you full control over what your bot can do. This might be your only option if you need something particularly unique or complex. Most retailers will be able to get what they need from a third-party platform, though. In many cases you’ll still need a programming team or agency to build your bot, but you’ll find a number of visual chatbot builders that don’t require any coding skills whatsoever. Whichever approach you choose, one thing you can’t take shortcuts on is the design of your bot. The experience your chatbot provides is everything and each interaction needs careful consideration. The first thing you need to do is decide what role your chatbot is going to play. The goal is to increase conversion and customer retention rates by removing hurdles along the buying process. But to do this, you need to spot the potential friction points and know if/how a chatbot is going to reduce their negative impact. To help you get to this point, we run no-obligation workshops to determine whether a chatbot is right for you. During these workshops, we help you analyse your brand and target audiences to identify chatbot opportunities and map out your options. Once we’re done with these workshops, you’ll know exactly what you have to gain from building a chatbot, the different approaches you could take and how much they’ll cost. At this point, you can decide whether to go ahead with the project or not. If you want to take your first steps into the world of chatbot marketing, we have a team of chatbot experts in-house. Get in touch with us on 023 9283 0281 to arrange a workshop or find out more. This article originally appeared in Vertical Leap. This article was written by Chris Pitt from Business2Community and was legally licensed through the NewsCred publisher network. Please direct all licensing questions to legal@newscred.com. next How Will the Advent of Driverless Trucks Affect the Supply Chain?